Country Friends is described as a “friendly” farm simulation where your animals dance and friends from all over the world come together to help each other. 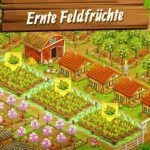 Not surprisingly, since this is an Android and iOS title from Gameloft, the social element is strongly emphasized, though you will have most of the accountability on you as you plant, grow, and harvest organic crops and trade them with other human players, may they be your friends or people from around the world. The animals in this game have some quirky behaviors and while that’s all well and good, the company also adds that you’ll have to deal with the in-game antagonist, industrial corporation SMOG Inc. This is truly a farm simulator that has some distinct selling points over others in the genre, but you shouldn’t let that give you a hard time in this game. Join us as we give you a list of Country Friends tips and tricks that could make starting out as a farmer much easier for you. Like other farming simulators, Country Friends has a lot of things to do that may take a while to complete. 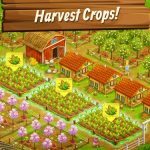 As such, you might find it a bit boring to keep playing the game while you wait for a certain crop to grow or a certain building to be completed. These things take time, and while you can spend to expedite their completion, it simply isn’t practical to do so. Be that as it may, what you don’t want to do here is to spend money on speeding up the building or growing process. Feel free to step away from the game and let those processes complete. Focus on work or schoolwork or do some chores or play another game – keep yourself busy, then return to Country Friends, organize more tasks, then take another break once you’ve taken care of everything. Speaking of taking care of everything before you sign off, one thing you should absolutely do before quitting the game is to set up your production queues. There are specific items that could take a while to produce, so it’s a wise idea to schedule things based on how long you expect to be away from the game. It doesn’t matter if you’ll be out for a few minutes or if you’ll be out for several hours – make sure your farm isn’t idle while you’re away. If you see a balloon appear out of nowhere in your farm, tap on it and collect the rewards. Truth be told, the rewards are often small, but at least it’s better than nothing, right? We said it above, and we’ll say it again. Gameloft wants you to take advantage of the social aspects of Country Friends. 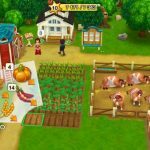 Yes, we agree with what others have said – the game does get boring if you choose to go by it by your lonesome, but you can spice things up by working at the community farm with friends. 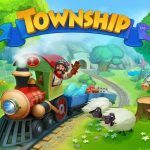 You can get to share and trade resources with each other, among other things, so connect your game to Facebook if you want your farm to truly flourish.